No. 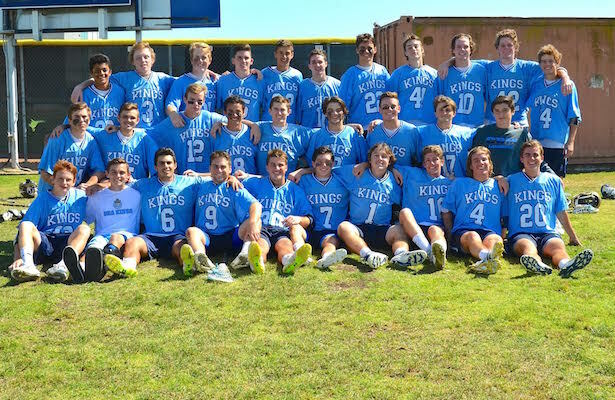 2 Corona del Mar made it 17 in a row this season by defeating No. 15 Huntington Beach 15-3 in the first round of the 2015 playoffs on Tuesday. A trio of hat tricks from Jordan Greenhall (3 goals, 2 assists), Max Kline (3g, 1a), Nate Neumann (3g) led the Sea Kings. Niño Chavez (1g,1a), Ben Palitz (1g, 1a), Stephen Von Der Ahe (2g), Sherwin Gersten (1g), Eric Fries (1g), and Chad Redfearn (1a, 4 groundballs) completed the CdM scoring. Jason Simaan won 10 faceoffs. Nick Guizen made the only save of the game for the Sea Kings while splitting time between the pipes with Hoyt Crance. Hugh Crance (3 gb), Jordan Pakzad (2 gb), and Brian Leguay led the defense. Statistics were not available for Huntington Beach. Hey Max Lax, how about some credit to the 3 HB players that managed to score goals on CDM’s defense. Thank you for outstanding coverage of southern section lacrosse. You guys raised the bar this year. Your coverage was always fair and unbiased, and very prompt.